France appeared set to maintain its strict restrictions on human embryonic stem cell research Thursday after the conservative government won over a parliamentary bid to ease up the country’s law on bioethics. The National Assembly of France voted 73-33 to retain the curbs on Wednesday night. 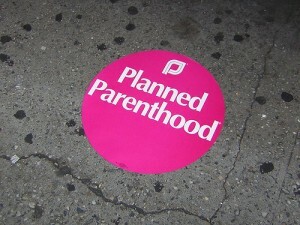 The Roman Catholic Church, as well as conservative legislators protested after a preliminary vote was carried out in the Senate to approve the research. Revisions on the country’s bioethics law are currently in progress. A second reading of the new bill will be held before the Senate early in June. A final decision is likely to come out by the end of the year. If the Senate votes to authorize the research, the bioethics bill will go through a conference committee where a version of the bill by the National Assembly will take place. When it comes to embryonic stem cell research, France has one of the firmer laws in Europe. It has even banned the research, except when it uses imported embryos not for in vitro fertilization in some other countries. 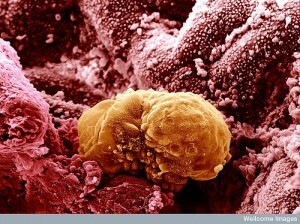 Individuals who oppose embryonic stem cell research claim that it is morally wrong since it damages or destroys human embryos during manipulation. However, proponents of the research believe that it is a bright opportunity to develop new treatments for several medical conditions. Cardinal Andre Vingt-Trois, France’s head of the Roman Catholic Church, insisted the legislators to oppose the liberalization of the law. He said it would lead to a regression in civilization and state-sponsored eugenics. Researchers have discovered that the severity of cystic fibrosis is influenced greatly by variations in genetics. Cystic fibrosis is a hereditary condition that has claimed so many lives by affecting the lungs and digestive system. Dr. Garry Cutting, a member of John Hopkins Hospital’s McKusick-Nathans Institute for Gentic Medicine, said in a news release by the hospital that the majority of people born with cystic fibrosis live up to their mid-30s. Some die before their 10th birthday, while several others live to see their 50th birthday. Dr. Cutting wants to know why some cystic fibrosis patients live longer than others. The study that was published on Nature Genetics – an online publication – used DNA from a total of 3,467 cystic fibrosis patients. The pool includes unrelated patients from the Genetic Modifier Study in the University of North Carolina, related patients from the CF Twin and Sibling Study at John Hopkins, and the Canadian Consortium for Genetic Studies in the University of Toronto. Cutting said that in order for them to get findings that will extend the life expectancy of cystic fibrosis patients, all proponents of the three studies must work hand-in-hand. So far, their collaboration have led them to identifying a region, covered by two genes in chromosome 11, that is linked to severe cases of cystic fibrosis. Another region in chromosome 11 was also pinned down. Cutting explained that they already know the gene that basically causes cystic fibrosis; what they discovered are genes that directly affect the severity of the condition. Hopefully, their findings will help in making unique treatments for individual patients. 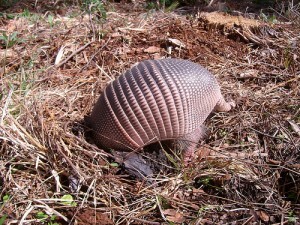 Researchers from Louisiana discovered that armadillos can transfer Leprosy to human beings. DNA tests showed that a leprosy strain gathered from some patients matched with those of the nine-banded armadillos, the possible reason for the spread of the disease in southern United States. Years back, many scientists believed that leprosy could only be passed on from one human being to another. An average of 150 people are diagnosed with this disease also known as the Hansen’s disease. Most of those affected by the disease traveled to a country where Leprosy is endemic but more than 30% of them have no idea where they got the disease. However, it has to be noted that most of these cases are on Louisiana and Texas. Many armadillos infected with leprosy live in that area. Director of microbiology Richard Truman of the National Hansen’s Disease Program said that they can now provide a link between armadillos and Leprosy. Proponents of the study took sample from human skin lesions and armadillos and they found out that they are genetically similar. However, this strain of Mycobacterium leprae, the bacteria which causes Leprosy, is different from the common strains. That unique bacterium was found in 25 armadillos and 28 human patients. Out of those 28 patients, 15 of them said they did not have any known contact to armadillos while 8 of them said they routinely hunt them to eat. Although the study did not record a direct transmission from armadillo (or animals in general) to humans, but an infectious-disease specialist, Brian Curie, said that the evidence is very convincing.